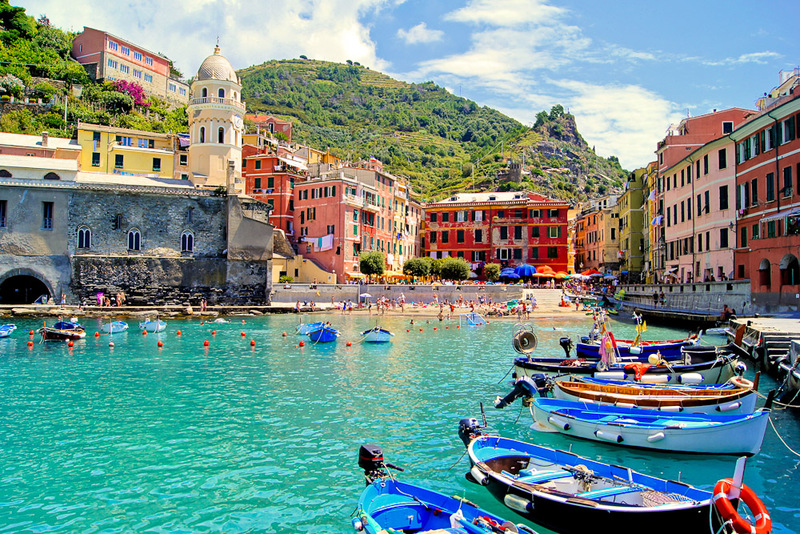 Cinque Terre, Italy, ranked #72 in our countdown of '100 Ultimate Travel Experiences of a Lifetime'. Ranked #72 in our countdown of ‘100 Ultimate Travel Experiences of a Lifetime’. 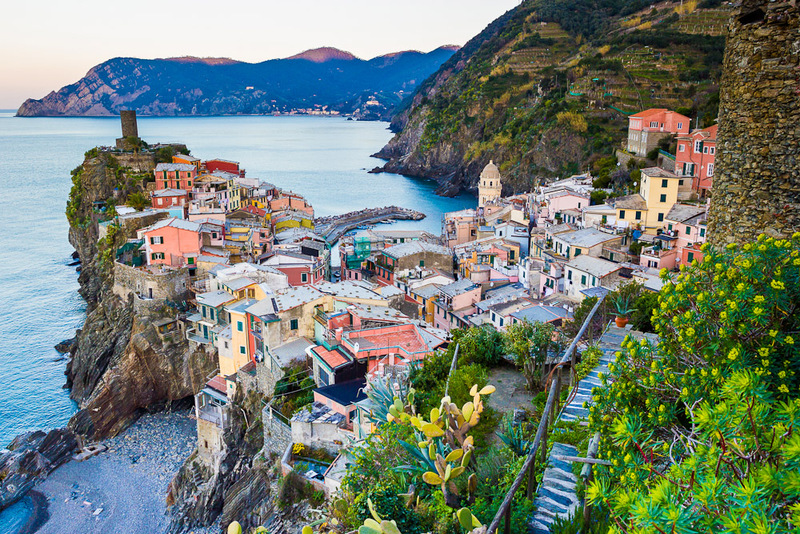 Perched on an unspoilt stretch of the Italian Riviera coast, the cinque towns that form the Cinque Terre are Monterosso al Mare, Vernazza, Corniglia, Manarola, and Riomaggiore. Each one is a gorgeous jumble of houses built one above the other in a pretty patchwork of terraces that stretch to the top of the rugged hills they are perched on, and connected at street level by narrow lanes and streets uninterrupted by traffic (cars can’t access any of the towns). There is a network of paths that runs from one town to the next (trains and boats are the other forms of transport in these parts) making this heaven for hikers who like a more sybaritic pace and ample pretty views when they walk. 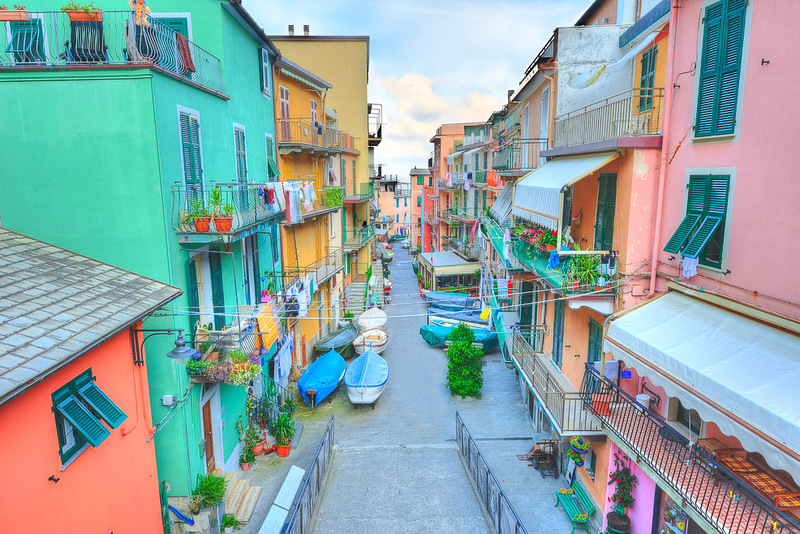 A trip to Italy absolutely must include a visit to the Cinque Terre – expedia.com.au will help you with that.